Imagine, if you will, the plight of the poor admissions officer reading law school applications. Day after day, she sits in her office, slogging through mindnumbingly tedious essays about how someone knew he was destined to be a lawyer from early childhood, because he loved to argue. Or because he believed in justice. Or because he read To Kill a Mockingbird. Or whatever. Please, do this poor person a favor and write something interesting! What does “interesting” mean in this context? It doesn’t mean gimmicky, or weird for the sake of being weird. This is law school, after all. What it means is that your application should sound like you, and reflect your personality. It should tie together the disparate pieces of your background in a way that makes sense and answer some of the questions the reader would logically have about your application. What it doesn’t need to do is use big words that you’d never actually say, in an attempt to sound smart. This doesn’t work – it sounds inauthentic, like you’re trying too hard to impress everyone. Below, you’ll find advice from a variety of law school admissions experts — who know all about the law school admissions process, how to write a great personal statement, and more! Check out these series and Q&A for answers to all of your law school application questions. Perfect Your Law School Personal Statement The personal statement is your most direct opportunity to address The Big Three, and needs to provide a coherent and complete sense of why you’re applying to this particular program, at this particular school, at this point in time. It also needs to be technically perfect. Read on to find out how to make your personal statement as fantastic as it can possibly be. The First Question You Must Answer: Why This? Your law school application needs to answer three questions convincingly to be successful. The first one is why law school is a logical progression for you. The Second Question You Must Answer: Why Here? Why do you want to go to this school? Trust us, they want a good reason! The Final Question You Must Answer: Why Now? Why does law school make sense for you now? There are lots of other things you could be doing, after all! Perfect Your Law School Résumé Your law school application résumé should focus on what’s most important for law school success, not on what will get you hired. Learn how to tailor your résumé specifically towards what law schools are looking for. Sample Law School Résumé Teardown Unsure how your law school application résumé could be improved? Check out this sample résumé teardown, showing massive improvement with a few simple tweaks and additions, then apply the concepts to improve your own résumé. The One Question That Will Improve Any Résumé Convinced it’s complicated to create the perfect résumé? It’s not, if you ask one simple question (repeatedly). Get Great Letters of Recommendation Hopefully you’ve been nice to your professors and bosses, since you’re going to need some letters of recommendation. Find out who to ask, and how to get the best letters you can. When to Use an Addendum Sometimes you’ve got information to convey that just doesn’t fit in the body of your application. Luckily for you, there’s an addendum option! In the wrong hands, an unhelpful addendum can sink an application. In the right hands, however, it’s a powerful tool. Applying to Law School? Need Some Expert Advice? We talk with Ann Levine, author of The Law School Admission Game: Play Like an Expert, about how to best approach the law school admissions process. 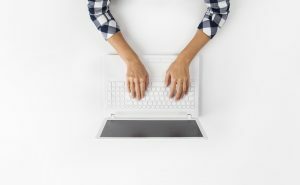 Tips for Time-Managing Your Law School Personal Statement How can you manage your personal statement writing efficiently when you’re already juggling other commitments? Should Your Law School Apps Talk About Your Career Goals? Potential law students often ask if it’s required that they know what type of law they want to practice before applying. John Rood of Next Step Test Preparation shares some thoughts on the topic. Prelaws: 10 Things To Do While You Wait Don’t passively await acceptance letters. Spend this time making sure law school’s really a good choice for you with these 10 tips. 4 Ways to Beat Law School Application Essay Stress Applying to law school can be extremely stressful. Here's how to handle the process without stressing yourself out too much. Where Should You Apply to Law School? What’s best? Should you only go to a T14 school? What about money? Time to figure out what’s best — for you! 22 Rules of Writing Your Law School Personal Statement: Part 1 Nathan Fox, founder of Fox LSAT, shares his (slightly tongue-in-cheek) 22 rules to keep in mind when writing your law school personal statement. Check out part one! 22 Rules of Writing Your Law School Personal Statement: Part 2 Nathan returns with more entertaining advice on writing a great law school personal statement. 22 Rules of Writing Your Law School Personal Statement: Part 3 Nathan wraps up his series of advice on personal statement writing, with some useful (and sometimes random) advice. Can I Tell Multiple Stories in My Law School Personal Statement? Eileen Conner kicks off this law school personal statement Q&A series with an interesting question: I have two different life experiences that are each a big part of my reason for going into law. How can I use them both in the same law school personal statement? Is Your Law School Personal Statement Too Vague? Next up: My advisor says that my personal statement is too vague. How can I solve this problem? How To Pep Up a Boring Law School Admissions Essay I think my personal statement makes a good argument, but it’s boring to read. How can I make it more interesting? Tackling Subjective Grammar Issues in the Personal Statement I think I’m done with my personal statement! What should I watch out for while I’m polishing it up? How Can I Shape My Non-Traditional Experience Into a Compelling Law School Application? I’m a nontraditional law school applicant. How can I best integrate my prior work and advanced degrees into my law school application? How to Tackle the "Why X School?" Essay One of my target law schools requires a supplemental essay that discusses why it’s the best school for me. What should I include in this essay? Proofreading to Create an Immaculate Law School Application I’m almost finished with my law school applications. How can I ensure that I submit a set of applications with no mistakes? How to Start the Law School Application Research Process Curious about how to start the law school application research process? Start here. Concise Writing: Editing for Length How can you convince the admissions committee to admit you to their program in only two to three pages? The answer lies in concise, efficient writing. Why is the Law School Personal Statement Difficult? Why should writing a simple application essay present any major problems? It does! The Cost of Applying to Law School Right now — well before application season — is the best time to plan out your law school application expenses. If you take the time to understand these costs now, you’ll be able to begin budgeting and saving for your application expenses well in advance. Writing Terrible First Drafts Believe it or not, writing a terrible first draft can actually put you in a real position of strength as you work your way toward a top-notch final draft. What Makes a Good Personal Statement Topic? Picking a great personal statement topic can be a challenge — especially because law schools tend to eschew specific essay prompts in favor of more general guidelines. A Quick Intro to the Law School Personal Statement So what is the personal statement? It’s an essay, certainly — but what are its criteria? What are its key characteristics? How can you use it to make a convincing argument for admission to law school? A Quick Intro to the Law School Diversity Statement One supplemental essay that often raises questions among applicants is the diversity statement. Let’s take a quick look at what the diversity statement is and why you might write one. Want more application tips sent directly to you? Sign up for our weekly mailing list now!